Factory reset your iPhone may be for a variety of reasons such as for resale or redistribution. Resetting your iPhone can be a not-so-enjoyable task because all the content, data, files and apps will be erased which leaves you right back where you started when the phone was new. Although you can use iTunes to restore the data which makes the process a bit stressful but you cannot do that until the phone has completed the reset. Resetting your iPhone takes some time and the time it takes depends on the data size of your iPhone. Typically, an iPhone reset does not take too long. Once you enter the reset command, all the data on the phone will be wiped. However, restarting the phone may take some minutes excluding the time taken to reconfigure the settings on the phone. For some old iPhone models, factory reset takes longer with them. Except you are using an old iPhone model that factory-reset takes longer with, factory-reset does not take too much time. The reason for factory-reset that takes a long time is not that profound. If you are trying to reset your iPhone and it takes more than one hour for the process to complete, the phone may have encountered an error of ‘iPhone stuck on factory reset’ in the process. And to fix this, you will have to put your iPhone into Recovery mode and reset it from there or check if there is a problem with the phone's hardware. Check the detailed tips below to fix this reset stuck issue. iPhone 6 or earlier: Press the home button and power button simultaneously and hold for ten seconds. Release when the Apple logo pops up. iPhone 7 and iPhone 7 Plus: Press the volume button and side button together for ten seconds until the Apple logo comes on. iPhone 8 and iPhone 8 Plus: Press the Volume Up button and release it immediately. Press the volume button as well in succession and release. Press the side button and hold it until the Apple logo comes up after which your iPhone will restart. You have to first ensure that the version of iTunes that you have is the latest one. Connect your iPhone to a PC and launch iTunes. If you had the software open before, close it. After you have connected your iPhone to the computer, force-restart the phone with the methods highlighted in (1), but you should wait till you see the "Connect to iTunes" screen. iPad Pro: Press the Volume Up button and release it quickly. Press the Volume Down button too and release it quickly. Hold the top button until the device restarts. Keep holding the top button, and you will send your iPad into Recovery Mode. 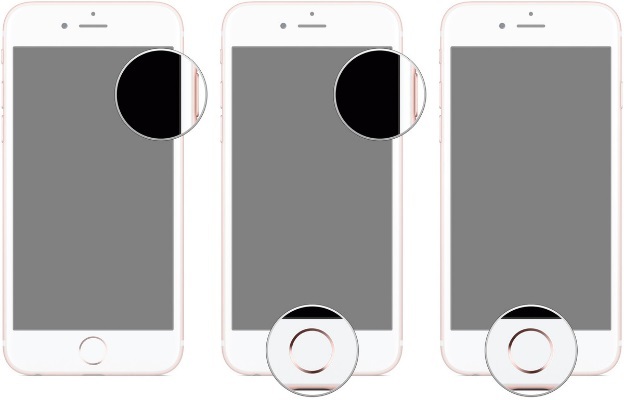 iPhone 8, 8 Plus, X, XS: Press the volume button and the Volume Down button one after the other after releasing each of them quickly. Press the side button and wait till you see the prompt "Connect to iTunes." iPhone 7 or iPhone 7 Plus: Press both the Volume and side buttons simultaneously and hold till the "Connect to iTunes" prompt shows up. iPhone 6s and Older iPhones: Press the home and side button together and release when the "Connect to iTunes Screen" shows up. When the Update or Restore option shows up, select update and iTunes will reinstall your device's OS without wiping your data. Allow iTunes to download the software for your device and when the update or restore is complete, proceed to set up your device. Launch the latest iTunes version on your Windows PC or MacBook. Turn off your iPhone, then connect your device to the computer. 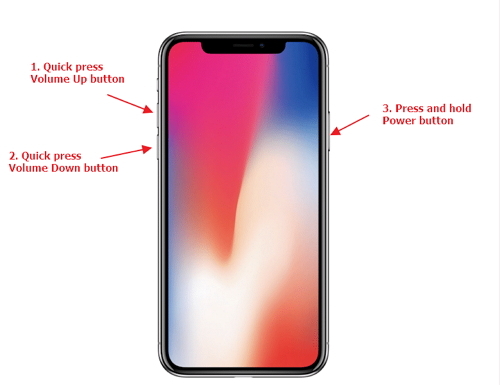 Press and hold the Home button. 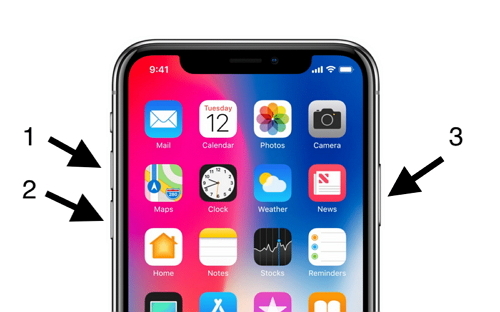 Once the "Connect to iTunes" screen comes on, release the home button. This will put your device in DFU mode. To get your device out of this mode, you will need to force-restart the device. 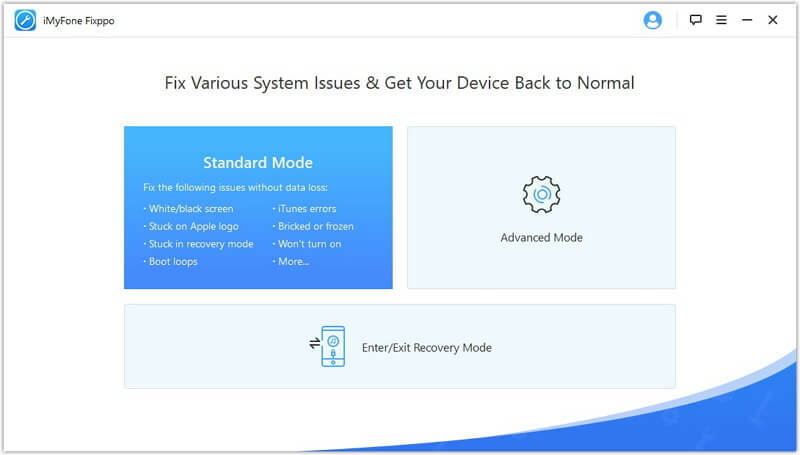 You can fix your iPhone stuck on Factory Reset using iMyFone Fixppo without data loss. With iMyFone Fixppo, you can fix any iOS problem on any device without visiting authorized centers. Step 1. 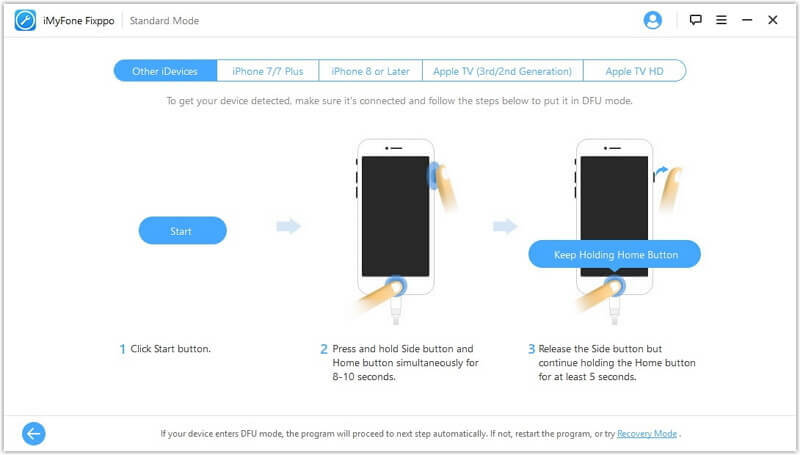 To fix the problem of your iPhone not turning off with iMyFone Fixppo, select the Standard Mode from the tool's homepage. Step 2. 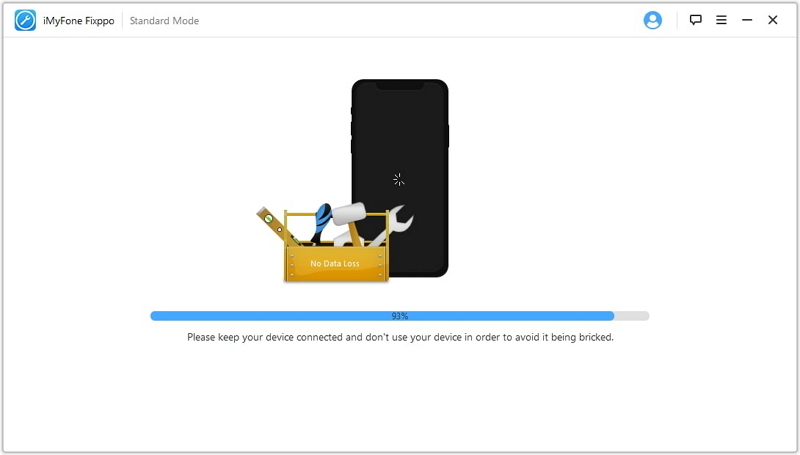 After clicking Standard Mode, connect your device and click Next on the screen and put your iPhone into DFU or recovery mode. Step 3. After detecting your iPhone, the software will proceed to the next stage of the process which is to download the compatible firmware for your iPhone. Step 4. After downloading the firmware, iMyFone Fixppo will verify it and extract software then fix the issue with your phone. Click on start to commence fixing. Keep your phone plugged to your PC throughout the process to prevent bricking. Since we have had a look at the top solutions to fix your iPhone stuck on factory reset, we hope that you will be able to do this on your own. Using iMyFone Fixppo is our most recommended option; therefore, get your copy of the software today.